Each month, the International Beer Shop celebrates a different brewery as our Brewery of the Month, and we reach out to the hard working crew behind these amazing brews in an article we like to call Ask The Brewers. Today we got a chance to present your questions to Jack and Red, founders of Pirate Life Brewing. This is what they had to say! 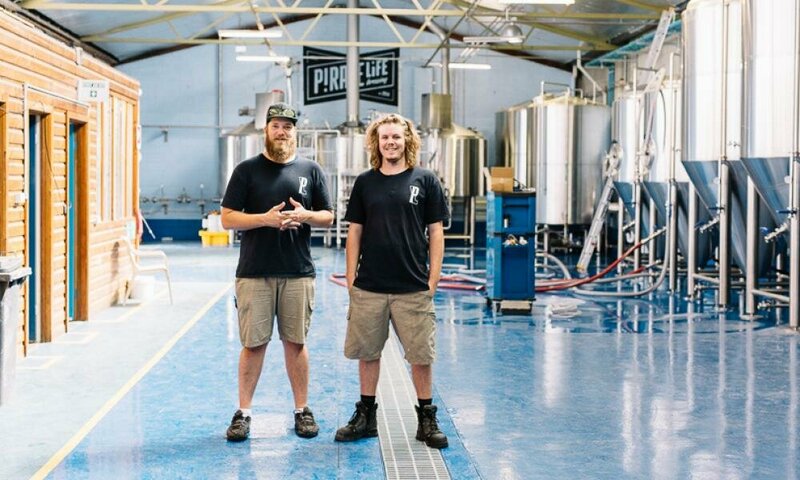 J & R: We're pretty fortunate that Pirate Life is run by brewers and not accountants which pretty much means the beers we make are already produced without too much concern for the cost of production. That said, our biggest limitation is tank time so I'd love to be able to really dial in a cracking Pilsner and cold condition for a rather long time. J & R: There was no way in the world we weren't going to launch with the IIPA. It was such an important beer for us to use as a springboard and help make a pretty powerful statement of intent when we launched. We think that balance is pretty important so having the Pale Ale bordering on IPA territory, the IPA was a luxury we could do without at the start. As soon as we felt it was an appropriate time to fill in the gap, we jumped at the chance and slotted the IPA into the core range. In truth, we we're going to launch with four beers. Throwback IPA, Pale, Imperial Red and IIPA. Unfortunately some raw materials have been elusive for the Imperial Red but I'm pleased to say it's not far off. Watch this space. J & R: IPAs still have big way to go in Australia still so expect increasing growth across most Aussie breweries in this category. Safe sours (Gose, Berliner Weisse) will continue to grow pretty steadily because their refreshing nature absolutely suit our climate. They can be tricky to do well and clean though so if someone gets it dialed in with reliable production and decent availability, they''ll do really well from it.